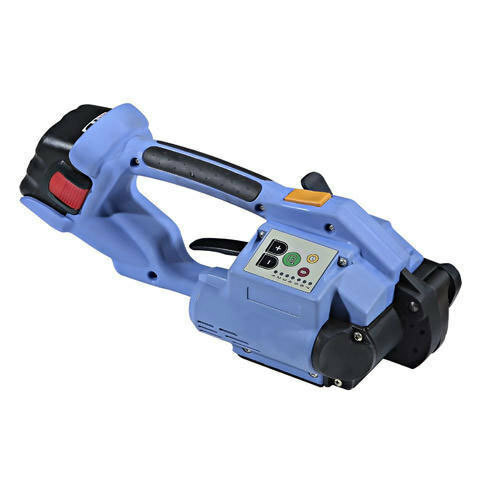 With thorough industrial knowledge, we are involved in developing and supplying an impeccable array of Battery Operated Strapping Machine to our esteemed clients. These are manufactured from qualitative range of raw materials keeping the special requirements of customers in mind. High quality checks and utilization of high grade materials have enabled us to achieve total satisfaction of our clients. These are available at reasonable rates. We, "Ask Enterprises", established in 2010, are considered to be among the leading manufacturers, suppliers of a wide range of optimum quality Packing Material and Anti Rust Products. The product range offered by us consists of Wooden Pallets, Wooden Boxes and Wooden Export Packaging. Mainly used for packaging of different products in chemical, pharmaceutical and food processing industries, the offered packing materials are manufactured in compliance with the industry laid norms. Owing to their high strength and excellent load bearing capacity, the offered packing materials are highly appreciated among our customers. With our excellent management skills, financial stability, goodwill and ability to meet the bulk demands, we have been able to meet the precise and diverse needs of our customers in the most streamlined manner. Some of our esteemed customers associated with us over for long period of time are Bosch India Limited, Hyundai Construction and Thyssen Krupp Limited.